Deighan specializes in advising and assisting public companies, closely-held businesses and institutional investors restructure businesses and real estate. Mike has represented creditors, debtors, secured lenders and creditor committees in some of the largest bankruptcy cases including General Motors, Kmart, Comdisco and the City of Detroit. He has also worked as a court appointed receiver in federal and state courts in a number of operational and real estate related cases. His clients have included startups, middle market firms, REIT’s and public companies. He specializes in helping clients create growth and disposition strategies to maximize the asset value of their businesses. He has provided disposition services on over 4,000 businesses and properties of all types throughout the world. 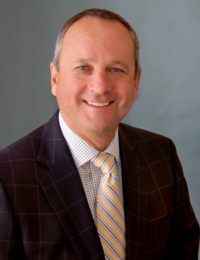 Deighan earned his JD from the Michigan State University College of Law and a Bachelors of Arts from the University of Michigan. He is a member of the American Bankruptcy Institute, American Bar Association, International Council of Shopping Centers, State Bar of Michigan and Turnaround Management Association. He is a frequent speaker on restructuring and real estate related topics for the ICSC, NREI, State Bar of Michigan, Turnaround Management Association, University of Michigan and Urban Land Institute. 34 years since Mike Deighan was first licensed to practice law.